"Blues Goblins was primarily conceived as a magic spell, cast by the Blues Goblins on themselves (himself), in order to affect specific changes in their work and life. Beyond this, it is also thought possible that the spell might have some residual effect on other people who might be interested in this music, or perhaps simply provide some entertainment"- Blues Goblins' press release. On Quasi front man Sam Coomes' debut solo album, the man behind the keyboard-driven pop duo (which also features Janet Weiss of Sleater-Kinney) delivers a spellbinding collection of classic blues by the likes of Muddy Waters, Howlin' Wolf, Skip James and Memphis Minnie. 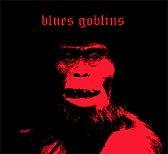 Under the moniker 'Blues Goblins', the songs are re-interpreted in a rough, psychedelic, and experimental blues-rock style. Played with passion, intensity, and volume, it is as if a magic spell has been cast on Coomes, as he transforms himself from the quiet, shy pop songwriter into a possessed bluesman channeling dead spirits through his body. "Sam Coomes is boring," says Coomes on why he will never release a solo album under his own name, and on why he went with "Blues Goblins" as his moniker for his debut solo project. "I had the whole idea in the middle of the night a while back," explains Coomes. "Then I just started in on the project the next day. Most of it was done in two weeks time - I never had a thought about it before that." Once the idea was born, Coomes started going through his record collection, choosing songs that he was familiar with and thought would fit the tone of the project. He also spent time uncovering songs he wasn't so familiar with, carefully picking each song to ensure it would match the vision he had for Blues Goblins. "I'm not really that into writing songs," Coomes admits, discussing the idea behind choosing covers rather than penning originals. "Sometimes it just seems like a habit I got into. It's just a way to facilitate making music. This time I just used a different method." One of the easiest records Coomes has ever made, he tells me the record was fun to make, and had it not been fun he wouldn't have done it, but ultimately it wasn't the fun factor that motivated him to do this, it was something more. "I had my own reasons for making this record and I feel like I got out of it what I wanted to get out of it," Coomes replies to my question on if he got what he wanted out of making this record. "As far as what other people get out of it," he continues, "I always hope that some people can get into it, but I think that's less important with this record than with most of the others I've done." For Coomes, it isn't about fan acceptance or approval, the Blues Goblins was truly born out of something much deeper, much more personal. Being quite the departure for him (compared to the Quasi songs he pens), I asked him how he thinks his fans will react to this record and what he thinks a first time listener will say. "I don't really think very much about how people are going to react to anything I do any more, I can never really tell," ponders Coomes. "It's not like I'm being scrutinized by a very large audience anyway. I thought that only a certain type of person would want to listen to this record and that this type of person would be pleased by the record while other people wouldn't. This seems to be pretty much how it's going down." 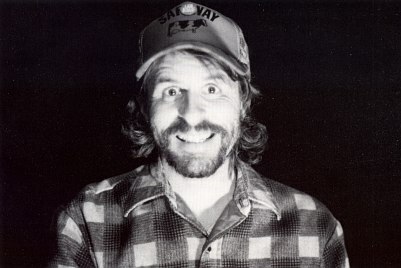 Like any other musician, there are things on the Blues Goblins record that Coomes wishes he could change ("I thought two or three songs were a little slow"). And things about his performance he wasn't thrilled about ("I would have liked to have played the drums better, but they came out OK considering my severe limitations as a drummer"). And there were things while recording the record that surprised him. "The last song on the record, "Rollin & Tumblin", which is my favorite, was something that I just had an idea about, but really had no idea exactly what it would sound like because it wasn't a conventionally constructed piece of music," Coomes informs me. "It actually didn't happen exactly as I thought, but it worked out surprisingly well, to my ears." When all was said and done, Coomes was pleased with the overall record. "It turned out better than I hoped, since I tried some things that I wasn't sure would work, but did," Coomes happily reports. But what is next for the Blues Goblins? Quasi is currently in the studio recording their next full-length, however during Quasi's next break (while Weiss is off touring with Sleater-Kinney), and in between being the proud father of a beautiful baby girl, Coomes hopes to somehow fit in Blues Goblins shows. As for a tour in support of the record, it is something Coomes would like to do, if he can fit it in. "I guess Blues Goblins will tour, but probably not with Quasi," he says in response to my idea of putting Blues Goblins on the bill with Quasi. "If Janet's on tour with Sleater-Kinney and I have a little time, I'd like to get out and tour." Maybe, if you're lucky, the magic spell will be cast upon a club in your city and the Blues Goblins will magically appear. Until then, create the magic yourself and play the CD as it was meant to be heard - loud!